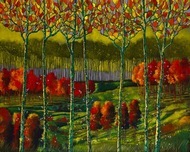 Ford Smith - 30% Off Everything In Stock! As the son of an Air Force serviceman stationed in a small Japanese village, Fords artistic sensibilities began to take root under the nurturing eye of an elderly Japanese painter when he was just twelve. After graduating from the University of Mississippi with a BFA in painting, Ford moved to Atlanta, Georgia where he realized a natural talent for photography. During the late 70s and 80s Ford established his reputation as Atlantas premier fashion and commercial photographer. The early 90s, however, brought a compelling urge to return to painting. He began painting again whenever his schedule permitted, which wasnt often enough to satisfy his creative mind. So in 2000, as he approached his 50th birthday, Ford decided that he would no longer deny his passion for painting - despite his success and stature as the citys top photographer. Believing his return to painting deserved 100% dedication, Ford sold his photography business and never took another professional photograph. He then set off to travel the world and seek inspiration. After exploring different painting styles and themes, he found tremendous fulfillment creating contemporary landscapes conjured from the stunning horizons witnessed during his travels. Emboldened by critics and collectors enthusiasm, he narrowed his focus there and pushed the creative boundaries of landscapes to arrive at the distinctive and radiant style for which he is known. 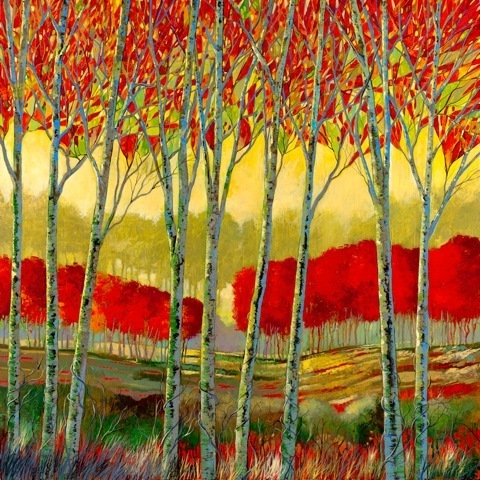 Remember, every time you purchase Ford Smith artwork over $995, shipping is FREE in the continental U.S. and there is NO SALES TAX when you purchase outside of Colorado. 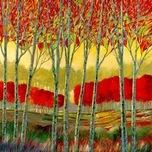 We SHIP WORLDWIDE and offer Layaway for Ford Smith art.